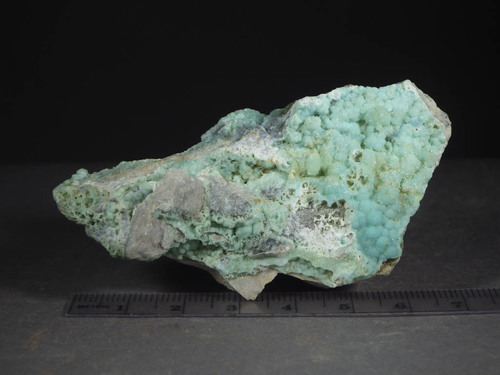 Light blue planerite identified by Raman spectroscopy. 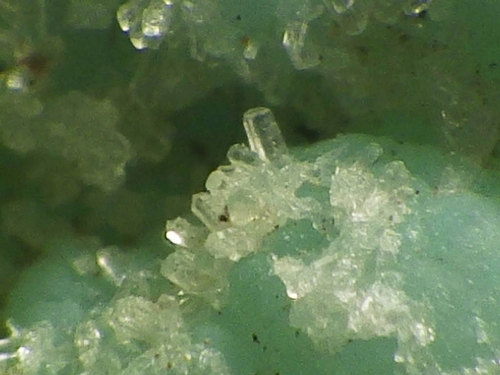 Tiny colorless wavellite crystals are on part of the planerite (separate photograph). 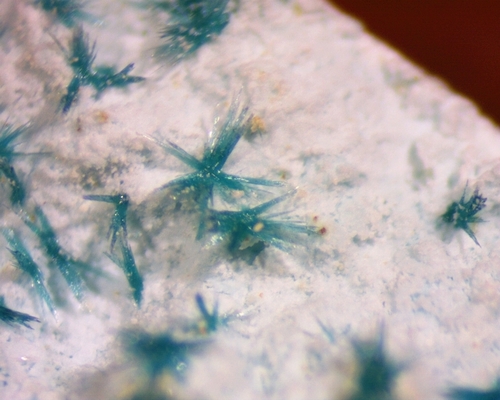 Colorless wavellite crystals identified by Raman spectroscopy. Blue matrix is planerite. 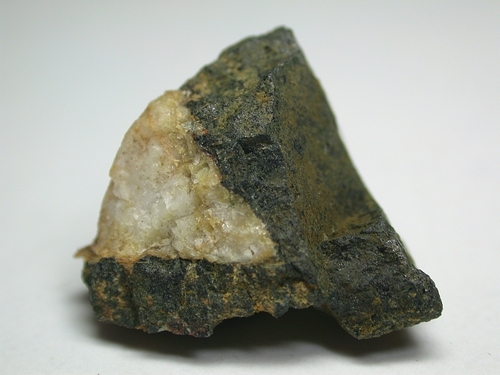 Blue rouaite identified by Raman spectroscopy gave an excellent match to the standard specimen in the RRUFF database. 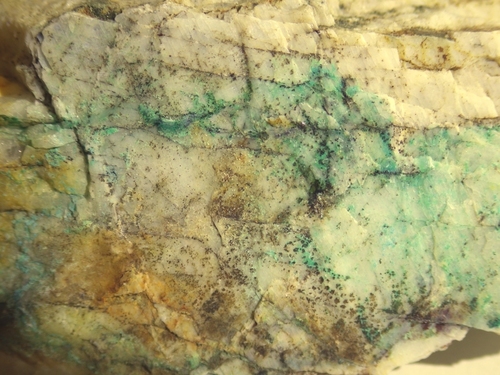 A thin layer of blue-green brochantite staining the surface of feldspar and quartz. Identification by Raman spectroscopy. 28 mm wide molybdenite crystal on white albite feldspar. Both identified by Raman spectroscopy. 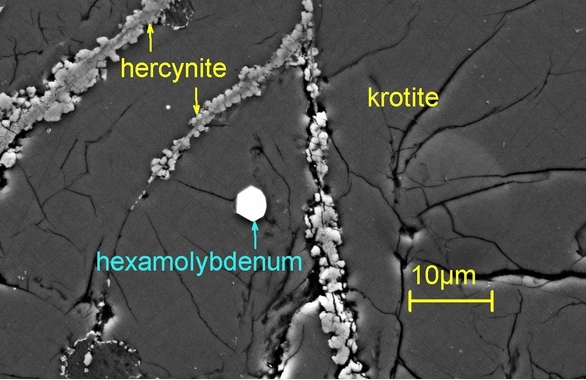 SEM image of a hexamolybdenum crystal surrounded by krotite with adjacent hercynite from the NWA 1934 meteorite. This is second documented occurrence of the phase. It is a molybdenum dominant alloy with ruthenium, platinum, iridium, osmium vanadium, tungsten, rhodium, nickel and iron. SEM image credit: Chi Ma. SEM image of a hexamolybdenum crystal surrounded by perovskite with adjacent spinel from the Allende meteorite. 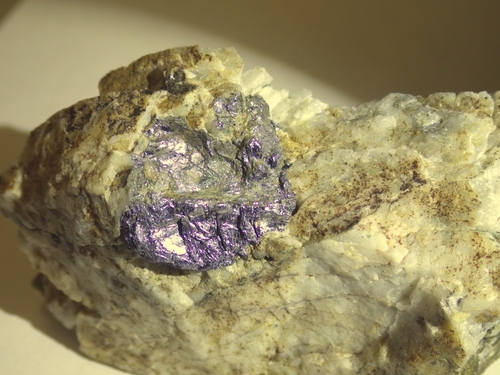 It is a molybdenum dominant alloy with ruthenium, platinum, iron, iridium, osmium, tungsten, and nickel. SEM image credit: Chi Ma. Twenty-one mm wide, black quingheiite-(Fe2+) sample on colorless quartz. 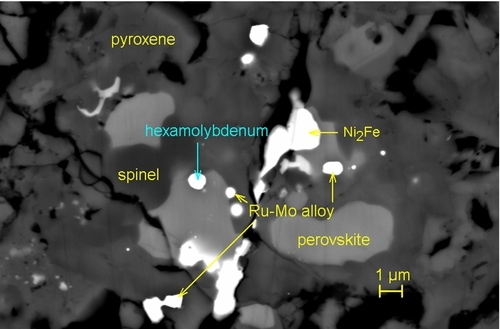 This was originally called ferrowyllieite by Moore. Later, it was recognized that it was a possible new member of the wyllieite group (Moore and Ito, 1979, Min. Mag. v. 43, p. 227, their wyllieite sample #2). This is part of the sample they analyzed in the 1979 paper. They recommended that the name be kept as ferrowyllieite at that time. After the discovery of quingheiite, the name, quingheiite-(Fe2+) was adopted. 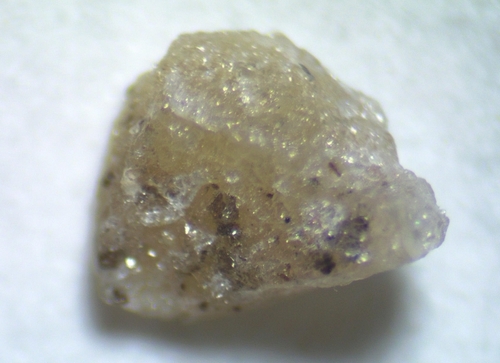 Pale amber, 1.8 mm wide pellyite grain from the type locality. 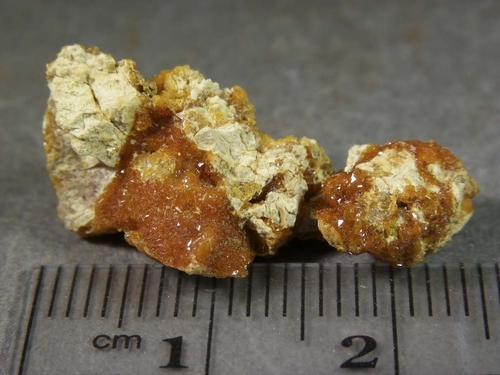 Orange butlerite crystals from the United Verde copper mine obtained from the US National Museum of Natual History (Smithsonian Institution) #95953. The identity of these crystals was verified by X-ray cell dimensions and crystal morphology.